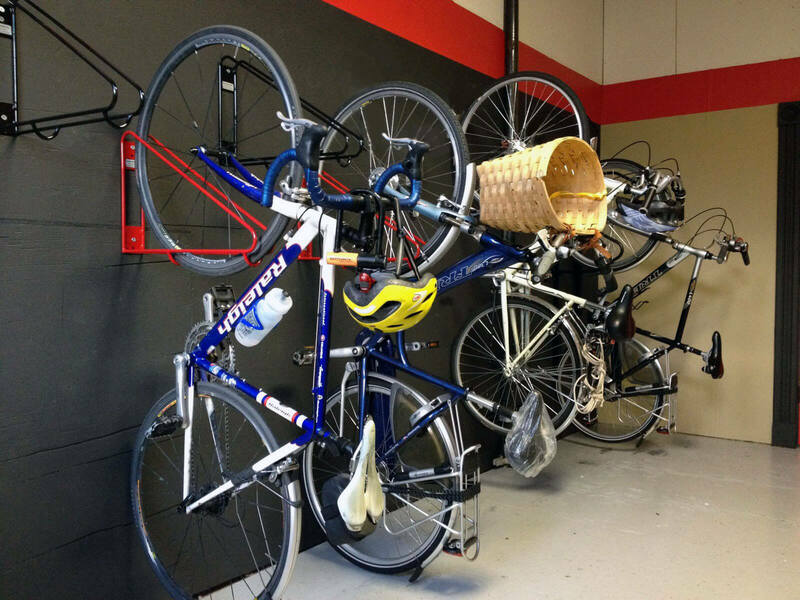 CycleSafe’s Original WallRack™ was the first vertically-hanging bike wall rack to effectively store a bike in a simple, space saving, and economical vertical bike storage rack. Since its introduction over 15 years ago, our wall-mounted bike rack is often imitated by inferior designs which lack the details of our patented bike WallRack™, including our support of the rim by cradling the front wheel between two tire supports that securely hold the bike. Other vertical bike racks put stress on the bike by hanging the rim on hooks, or by holding the bike between two straight tire supports. 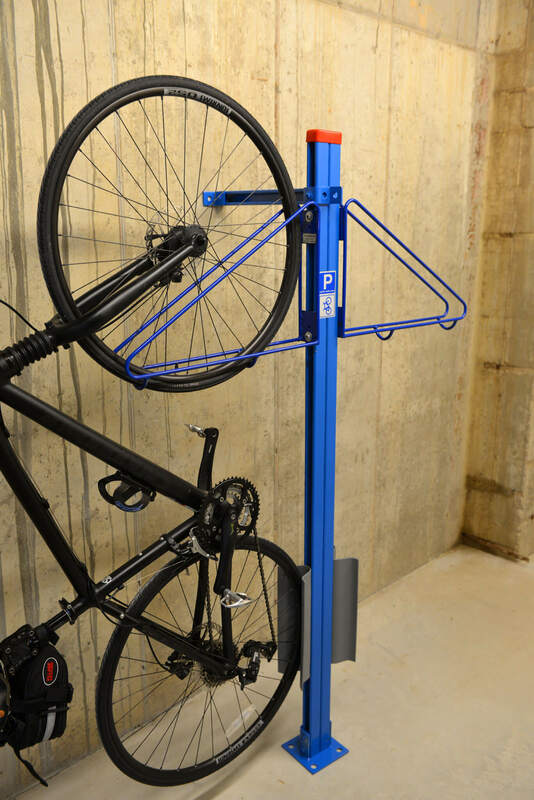 Designed to free up floor space, The Original WallRack™ parks a bike against a wall or chain link fence to allow easy access and locking of the bike wheel and frame. The Bike WallRack™ is fabricated of heavy-welded 3/8″ diameter steel wire frame with two mounting holes 12″ apart installed 16″ O.C., with 12″ offset to allow for handlebar clearance. Hardware includes 2 tamper-resistant 5/16″ diameter lag screws and 5/16″ lag shields for concrete or block installations. The CycleSafe bike wall mount design is suitable for indoor or outdoor use, available in four polyester powder coat finishes or stainless steel. CycleSafe bike wall racks are ideal for campuses, parking garages, bike rooms, transit stations, multi-family units, or any wall location where space is limited.